100 years on, the images of the Western Front continue to haunt us. A picture of carnage in a grey hell of barren mud. For our soldiers, life in the trenches could be a lonely experience. Just imagine being hundreds of miles away from home and in constant fear of an enemy attack. Receiving and sending communications back home to loved ones proved a valuable morale booster and offered a brief escape from the daily horrors of war. 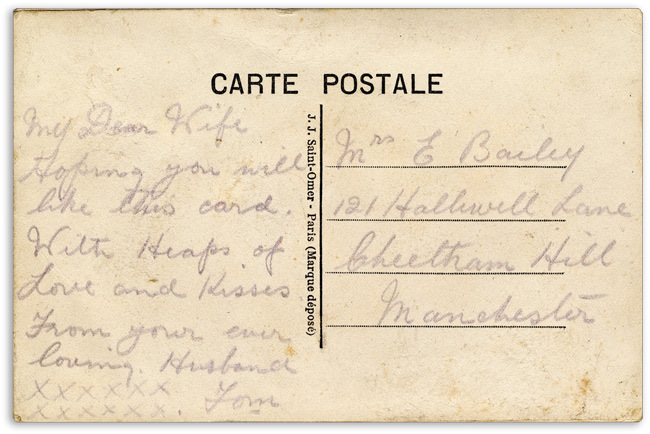 Soldiers would send letters, souvenirs and postcards back to their family and friends and then eagerly await a reply. 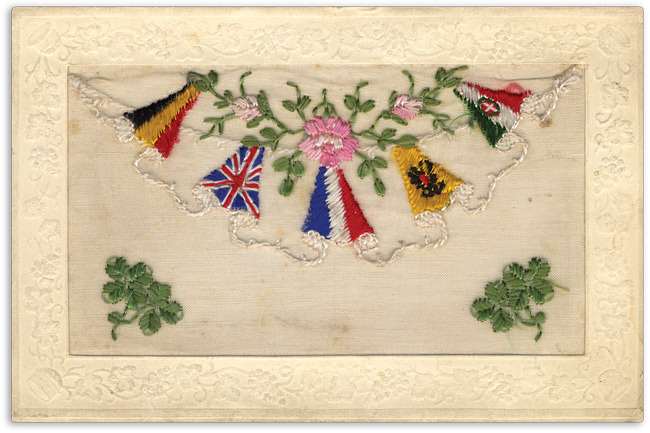 Some of the most popular items to send back were embroidered postcards which have become known as WWI Silks. 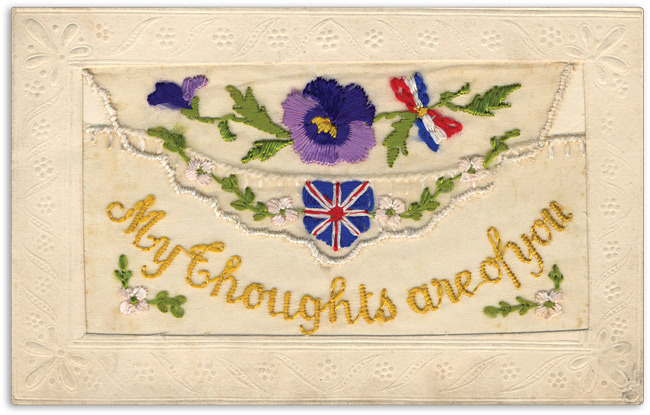 These colourful embroidered postcards were first produced in 1914 and continued to be produced throughout the war. 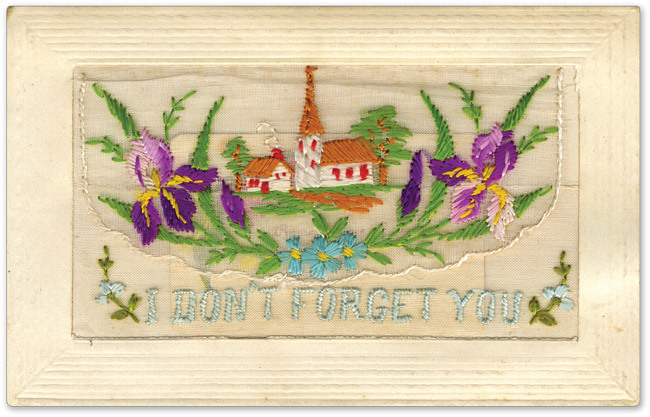 Most were embroidered by French and Belgian women refugees who worked in their homes or in refugee camps. Their finished creations were then strimmed and mounted on postcards. Their beauty and uniqueness made them popular with British soldiers serving in France and Belgium. They were often very patriotic and featured allied flags, symbols and greetings. The embroidered panels could be quite delicate in design and many of the cards used the structure of the embroidery to create a tiny envelope which would often feature an additional greeting card. Most cards were sent home in military mail pouches which not only protected the card and message in transit but also complied with Post Office regulations that they did not “inconvenience Post Office machinery”. Once received back home there would often be no indication of what the soldiers were experiencing, sparing mothers and wives from the true horrors of war.